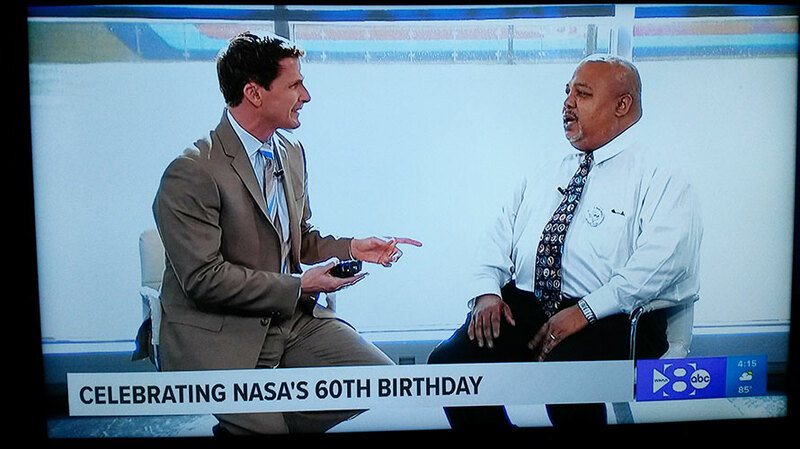 Ken Ruffin, Vice President of the NSS of North Texas Chapter and member of the NSS Board of Advisors, appeared on Dallas ABC TV Channel 8 on the October 1, 2018 60th anniversary of the founding of the National Aeronautics and Space Administration (NASA). In mid-September Ken contacted a meteorologist/space enthusiast acquaintance at WFAA-TV Channel 8 in Dallas, Texas, with whom he had previously discussed opportunities to be interviewed about space travel topics on the air. A live interview in honor of “NASA’s 60th” was confirmed, and Ken was informed that the interview would last for only two minutes. On October 1, during what became a 4 minute and 30 second interview, Ken responded to questions and statements from award-winning TV news anchor Jason Wheeler about the present and future activities of NASA and commercial spaceflight companies. First, Ken responded to Jason’s statement about NASA being on the verge of having astronauts launched into space from the USA again. Ken responded that commercial spaceflight companies are anticipated to begin launching astronauts to the International Space Station (ISS) beginning in 2019, and NASA is planning to send astronauts first to the Lunar Orbital Platform-Gateway which will orbit the Moon, then later to Mars and back. 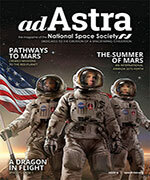 Next, Jason asked, essentially, “How realistic do you think it is that NASA will launch rockets to send astronauts first to a lunar orbit, then later to Mars?” Ken responded that NASA sending astronauts to a lunar orbit is “all but guaranteed” and that the Mars missions may involve public-private partnerships between NASA and commercial spaceflight companies. 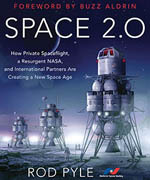 Then, Jason asked, essentially, “How much do you think that commercial spaceflight companies are pushing NASA to be bolder?” Ken responded that he doesn’t think that those companies are pushing NASA, but in his opinion, NASA and those companies will work together through public-private partnerships to get people to Mars. Finally, Jason asked, essentially, “What is it about NASA that causes most people to have positive feelings about it?” Ken’s response included that NASA provides inspiration at its finest. The full interview video (taken by a cell phone) is provided here. Ken received feedback that the interview was quite well received by the WFAA-TV staff. Ken continues to have discussions about possible future local TV news interviews to discuss interesting space topics as well as NSS. Way to go, Ken! Glad you were paying attention and did something. I am only continuing to follow my own plan, inspired in part by former NSS-NT President Ken Murphy. If all goes well, there will be much more to come.